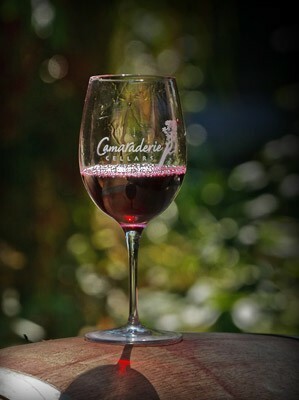 Camaraderie Cellars has been recognized for making consistently high quality wines for over twenty-five years. We are in Port Angeles, Washington, on the North Olympic Peninsula where great wines and iconic Pacific Northwest scenery combine in a setting that’s hard to beat. Our wines are made to honor the grape variety and the vineyard the grapes come from . . . our growers are true partners in our craft. The name Camaraderie Cellars represents our philosophy of sharing life’s best gifts . . . friendships, hearth, food and the world class wines we produce. When visiting our winery you will be greeted by cordial staff, beautiful gardens, the warmth of an outdoor fire pit, sculptures, soft music and a very inviting Tasting Room. 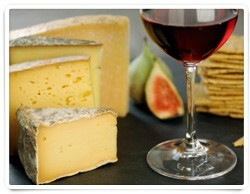 The Camaraderie Cellars Tasting Room is open from May to mid-October on Friday, Saturday and Sunday from 11 AM to 5 PM. We are open outside of those times for Les Amis Wine Club gatherings and special events coordinated with the Olympic Peninsula Wineries Association. To schedule a special visit please call us at (360) 417-3564. Winter hours: open by appointment; please call 360-417-3564 to schedule a visit. March 16-17 and 23-24 Open from noon to 5 pm. All are welcome!